Basement and foundation waterproofing is a very important part of home maintenance. It is often necessary to avoid a flooded basement. As a homeowner, you definitely need to avoid water leaking into your basement or foundation as it is a very serious problem, one that is faced by numerous homeowners across Ohio. However, it is very important that you find a company with extensive knowledge and experience in completing your basement waterproofing. 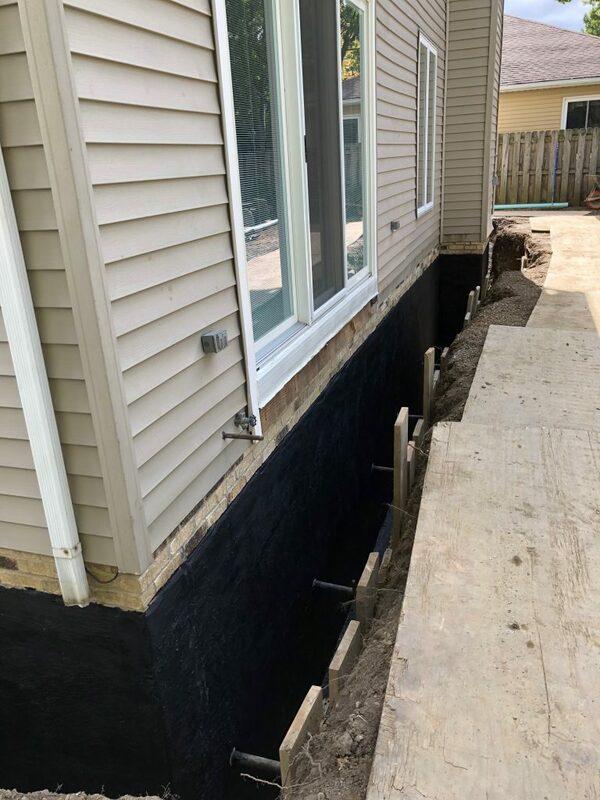 DiFranco Contractors Inc. offers a variety of basement and foundation waterproofing in Solon, Ohio 44139 and the surrounding area. Waterproofing services are offered for residential homes, commercial buildings, or any structure that has a basement or foundation area in need of waterproofing. While exterior waterproofing is the most permanent fix to avoid any future issues, it is a more costly method. Interior methods can work as well if costs need to be kept down. Clogged Perimeter Drain Pipes: Perimeter drain pipes run around your home’s foundation. When these pipes get clogged they can no longer channel the water away from your home. This is when pooling around your foundation occurs, which can lead to basement flooding. Hydrostatic Pressure Buildup: Hydrostatic pressure buildup will not be the cause associated with any above grade issues, meaning if you have no basement, this is not the culprit. This issue occurs when excess moisture puts pressure on your basement walls. The pressure from this buildup causes an intense amount of force on any walls that it comes in contact with. This can result in small basement leaks, or a flooded basement. Hidden Foundation Damage: Sadly, foundation damage is an issue that can be present from the initial building of the home, or by poorly completed repairs. These issues can lead to extensive water damage that manifests itself months or even years later that can be very expensive to repair. How Do We Waterproof Your Basement? Install drain tile cleanouts so that drain tiles can be cleaned and serviced in the future, which is a very important for many older homes that do not initially have these. Pressure wash basement and foundation walls, then coat them with damp proofing and/or waterproofing materials. This is done to seal the wall. Above grade areas may be sealed with water repellant membrane so water does not wick through. If specified, insulation is placed to protect to proofing coating. Excavated area is filled with #57 stone, up to one foot from the top of the existing grade. This is the heart of the system that is intended to allow the water to fully drain to the drain tile at the bottom. Topsoil is returned to the top, and any removed plants are replanted. When the crew has completed your project, it will look as good as new, like no one even disturbed the ground! Why Choose DiFranco Contractors To Waterproof Your Basement? It is important to take precautions to prevent severe water damage to your home. Basement waterproofing costs are far better before a leak or other problem has caused any damage. While it is ideal to avoid the problem altogether, our company is committed to solving your problem once and for all. 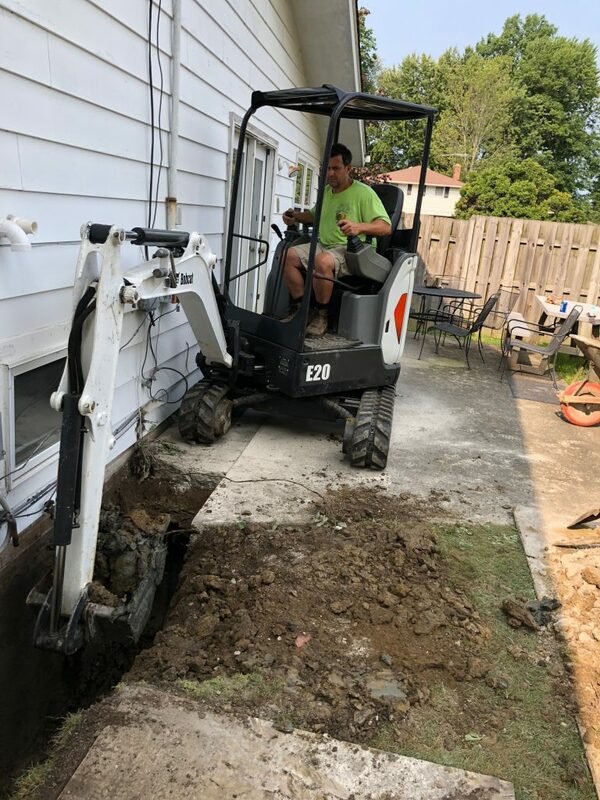 When you choose DiFranco Contractors to waterproof your foundation or your below grade basement you are partnering with experienced professionals. You will deal directly with the owner, Gianni DiFranco, who has more than 20 years of experience in the industry. She will consult with you on your project, provide you with your estimate, and will be present for the work when your job is scheduled. If you’d like to receive an estimate for basement waterproofing costs in Solon, Ohio then please give us a call 440-946-2029 or fill out our contact form and we’ll be getting right back to you.